What if my roof is damaged and I do not realize it until months later? While wind and hail damage can often be detected by missing shingles or leaking roofs immediately after the storm, sometimes it can take many weeks or months after the storm to realize the damage. In these cases, you should get an expert’s opinion on the extent of the damages. Do I have to get three estimates before choosing a contractor to fix my roof? No you don’t. Most all policies are replacement cost policies, which means your insurance company will pay you the cost to replace your roof even if you are only get one estimate. They might encourage you to get three estimates, but it is not necessary. Be sure that you call licensed and bonded professionals that can produce local references that are at least one year old. Can I fix my damage roof myself? While some minor repairs can be done by the DIY homeowner, if you want to get the full Replacement Cost Value (RCV), including the depreciation, then you will have to hire a licensed contractor. The Actual Cash Value (ACV) is all you will get from the insurance company, if you do it yourself. Will my insurance company pay for storm damage to my roof? Most homeowners insurance will pay for the hail storm damage. At Overson Roofing we provide free estimates and always keep our customers informed throughout the repair or replace process. 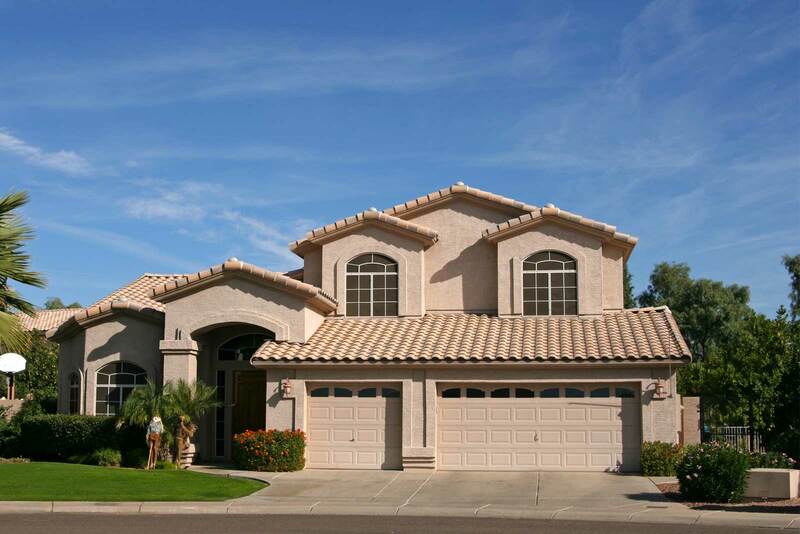 We are experienced roofers, serving the entire Phoenix metro region for over 30 years. Hail and high winds can cause severe damage to the exterior of your home including the roof, A/C unit and paint. An inspection by a trained expert can verify the extent of the damages and help you navigate the often cumbersome task of dealing with your insurance carrier to get the repairs paid for.